One of my favorite directors is a guy named Shane Carruth. You shouldn't be faulted if you haven't heard of him—he has so far only produced two films, Primer (2004) and Upstream Color (2013), begun work on one more (The Modern Ocean), and abandoned one (A Topiary). That being said, his films are the intellectual equivalent of Pringles, in that once you pop, you just can't stop. (Trying to make sense of them, that is.) So this post is an overview of the directorial portfolio of this former engineer. There's spoilers downstream, and not the kind that Jeremy and the boys used to decry so often on Top Gear. Content warning for violence. From a meta standpoint, Primer is all the more impressive for its journey from thought to screen. Shot on a budget of just $7,000—no zeroes have been omitted there, that's seven kilodollars—Carruth ended up doing a lot of the grunt work on this himself. Sound editing, music, actual direction (a lot of which was made sotto voce and some of which can be caught in the film if you pay close attention)…oh, and playing the lead role. This was actually not born so much out of egotism as it was the fact that Carruth was an indie filmmaker who had rehearsed scenes so many times while casting other characters that he figured it'd simplify things if he took on the part. Special mention should go to the sound design. In the commentary, it is related how about half of the original recorded dialogue was unusable for technical reasons and had to be dubbed. This is not obvious, even when it's been pointed out. 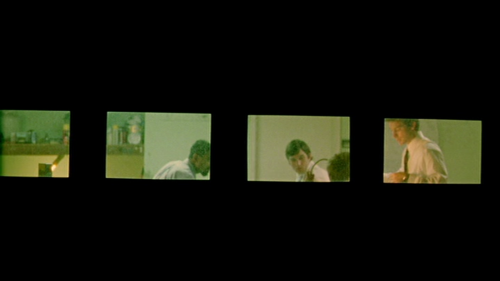 There's one scene in particular where the actor on the screen is not the voice you hear—that belongs to Carruth's brother. It says something pathetic about the entertainment industry at large when a guy with a $7,000 budget and a MacBook can do a better job syncing up dialogue to lip flaps than corporations worth billions of dollars. A story of time travel and how the ego is the enemy of small business (source). But enough about the real-life underpinnings of the film. There's a quote, rightly or wrongly ascribed to Isaac Asimov, that goes, "The most exciting phrase to hear in science, the one that heralds new discoveries, is not 'Eureka!' (I found it!) but 'That's funny…'". The story of Primer is basically this quote injected with interpersonal drama and character development. Aaron (Shane Carruth) and Abe (David Sullivan, whom you may know as Chet from Deidra & Laney Rob a Train) are half of a small business, Emiba Technologies, based in Texas, and they have a problem. They've been making JTAG cards in Aaron's garage, but it's not making them the dollars they desire; they need something new. 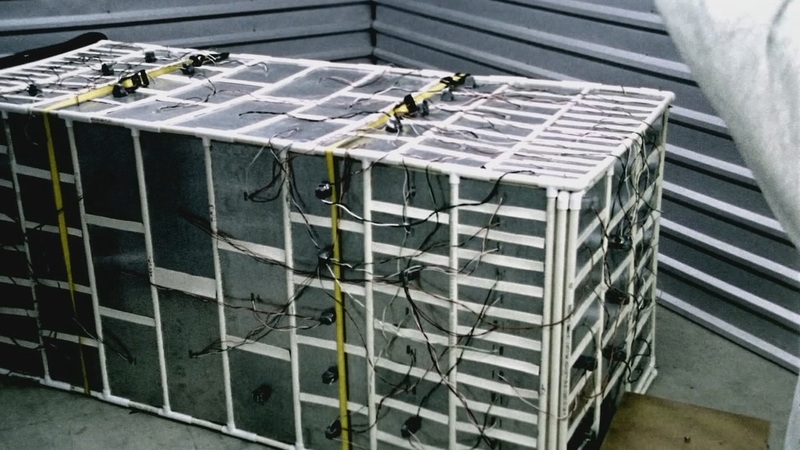 So their little company's latest idea is magnetic levitation using superconductors. However, there is a method to their madness, and this method ends up having an unintended side effect. Put a watch in the box, run it for a minute, take it out. It gives you the wrong time. Put in a kid's toy, it comes out covered in slime from a common household mold. Abe realizes what's up. He interrupts Aaron's March Madness session on a bench outside their workplace, runs him on a bunch of seemingly useless errands, and then reveals that he's built a time machine out of it by showing Aaron his past self in real time. Naturally, Abe and Aaron figure that the best way to use this device is what amounts to undetectable insider trading. Then things go haywire. Aaron can't sleep, there's some bothersome pest up in his attic, and his ear starts bleeding. Abe starts running the box outside of their planned hours. The guys "can't write like normal people". Abe's ex-girlfriend's dad shows up with zero warning and almost dies whenever Abe gets close to him. Eventually, Abe decides to take the nuclear option and undo everything using his "fail-safe machine". Still neater than a lot of "normal people" (source). The narrative device throughout the film is Aaron making a phone call, the implication being that Aaron is narrating everything he knows and how it all fits together. He can do this because the conversations he's had have been recorded. Abe realizes this when Aaron starts saying everything he said the first time, unprompted, even when Abe tries to derail the conversation and avoid this whole mess. To keep the boxes safe during excursions, Abe rented a storage unit. He actually rented two, the second for the fail-safe, and Aaron realized this when going over the manifest, so he went back in the box and was consistently one cycle ahead of Abe the entire time. Aaron wants to edit time; there's an upcoming party where Abe's ex's ex comes into the party "waving a shotgun", and he gets to be the hero and save everybody. Abe doesn't much like this, but there isn't a whole lot he can do to stop them. Except turn this thing off (that is not a typo), get inside it, wait a few days, and try to avoid static electricity on the way out (source). 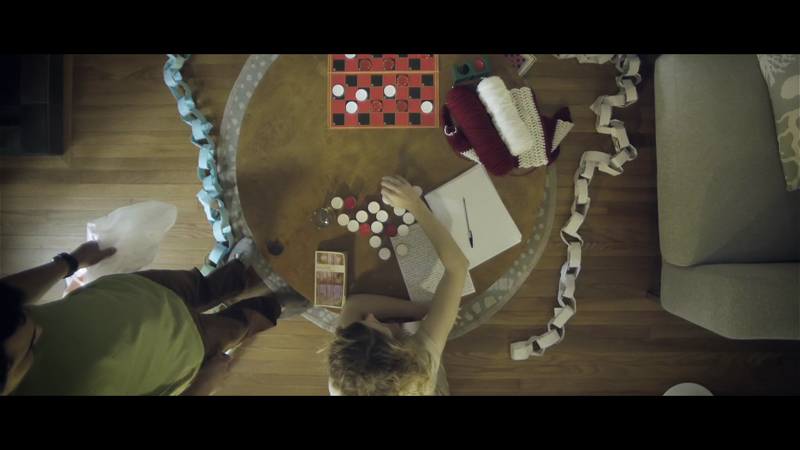 It's a short film, clocking in at less than an hour and a half…but what an hour and a half that is. Repeated viewings turn up new observations, double meanings in what felt like meaningless things. True, you may need to make a chart—or several, if you don't use pencils—in order to figure everything out, but in my opinion this is the single best time-travel movie ever made. If Primer was a question, a riddle, then Upstream Color is more of a declarative statement. That doesn't make it any less of a piece of cerebral cud for the chewing, it just tastes a little different. One of the main characters, the Sampler, who is so ready for Burning Man (source). 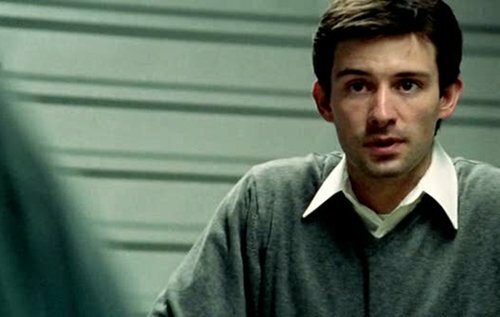 In the interim between Primer and this film, Carruth was in negotiations to create another motion picture, more massive in scale; this was A Topiary, and the talks fell through. The main character can be seen running test footage from the intended VFX on her screen at one point, though, so in some small way at least a part of that vision made it to film. Our story begins with your average scumbag lowlife rifling through a potted plant to get at some insect larvae. He then puts it in a capsule, abducts a successful young adult woman, and forces her to swallow it. The parasite has some sort of extreme effect on its host that makes him or her almost totally susceptible to suggestion. Our thief, whose face is, for some reason, obscured by an auto mechanic's trouble light the sun, basically commands poor Kris (Amy Seimetz) into willingly giving him everything of value that she has. Also, the dude has zero idea of how to throw a decent party (source). He then sets her free, whereupon she goes on a massive food binge. Subsequently she is drawn to a rural farm where a guy is playing the world's worst minimal EDM into the ground. This helps to draw out the parasite from Kris' body; the worms are then transferred to the pigs the guy raises. Kris' nightmare doesn't end here. Her life has been utterly ruined, at her own choice by all appearances. Destitute, she is approached on the bus by Jeff (Carruth again), a smooth-talking…something-or-other businessman who had a similar experience happen to him—worms, pigs, and all. Kris and Jeff fall for each other so hard they start remembering each other's memories as their own. You may think that this is fizzling out into a cliché romance story at this point. I can understand how you'd come to that conclusion. The important detail, however, is that the pigs on the pig farm have also bonded. They have even mated and are expecting a litter soon. Kris, too, finds herself pregnant. Except that's impossible, as she is physically unable to have children. If you've only ever heard about this movie tangentially, this is probably the picture you've seen (source). The pigs give birth, and our farmer is none too pleased, so he, shall we say, disposes of the piglets. This sends the pigs into a rage. Kris and Jeff also completely flip out because it feels like someone has seized and murdered their children. It doesn't matter that the children don't exist, at least not their children. It's their pigs' children. This makes so much more sense and is so much less ridiculous if you actually watch the movie. 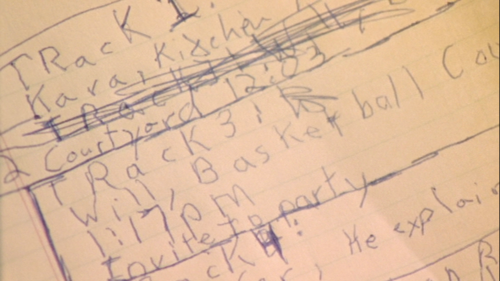 Anyway, Scumbag Steve from earlier kept his marks in line by having them write out Walden longhand. Turns out, Kris and Jeff are no dummies, and realizing that Walden is a thing sends them on a hunt for clues. They find a number of other victims and get led to a musician who lives a simple life out in the country: He records ambient and experimental music, farms pigs, and has a habit of dropping the bass hard enough to annoy worms. Kris commits what must be, at the least, second-degree murder on the guy, and the Walden-torture brigade takes over the farms and raise pigs. So, uh, how are we going to get the deed to the property transferred? You kind of killed the owner (source). Remember the piglets from earlier? When they died, the parasite flukes that were in them were released into a stream. The river in turn waters a stand of rare plants that a certain parasite from earlier likes to prey on, and a local horticulturalist likes to find and sell these plants. The plant-seller has a certain regular customer. See how this all ties in? 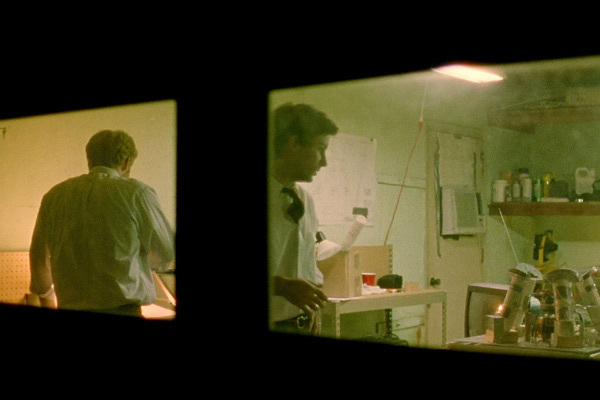 It's not quite as subtle about it as Primer was, but again, once you hit the third act, everything before it starts making more sense, and it still has the gravitas of a film that gets better if you let it marinate in your head for a while. Coda: One of the things that intrigues me the most about this movie is that the wrong guy gets punished. All the farmer guy ever did was make some really crappy dubstep and de-worm people. Sure, he could probably be charged with animal cruelty for the whole piglet situation, but it's not like he was aware that Kris and Jeff had such a connection to them. For all Kris knew, however, he was the guy who had ruined everything for her—and for all we know, he wasn't. Do you like bizarro films like these, or is this article a defense of terrible practice in cinema? Let us know in the comments!